Here is the Carzone.ie guide to buying a used Ford Kuga. Ford’s Kuga is its longest-serving SUV, being a mid-sized vehicle based on the same underpinnings as a Focus hatchback or C-Max family MPV. Offered with front- or four-wheel drive, and a choice of four-cylinder petrol and diesel engines, the second-generation Kuga is a straightforward C-segment SUV that comes with Ford’s usual impressive chassis tuning, along with a spacious and well-equipped cabin. Its only problem is that it has been around for quite a while now, making it a vehicle that has been surpassed by newer and more advanced C-segment crossovers and SUVs, but the Ford’s longevity and popularity means there are plenty of used examples available, making it a sound second-hand buy for those in the market for a high-riding family vehicle. 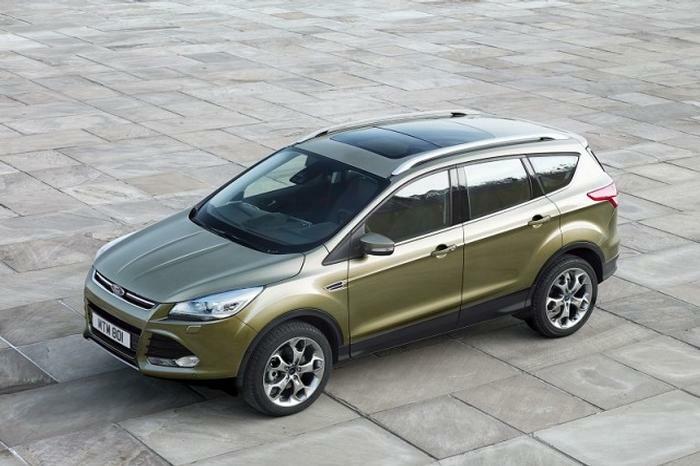 Ford sold the Kuga from launch with an array of turbocharged petrol and diesel engines, all with four cylinders. Most common here in the early years was the 2.0-litre TDCi rated at 140hp, although a 120hp version was available in a commercial variant of the Kuga that could be ordered with just two seats. Other engines included more powerful takes on the same 2.0 TDCi, including 163- and 180hp variants and then a later development of the base engine to 150hp, while petrol engines range in size, from 1.5 and 1.6 to a 2.0-litre unit. Power from these was anything between 150- and 242hp, but they’re rare. Gearboxes were six-speed units, either manual of automatic (the latter of which was later dubbed PowerShift) and there was a choice of front- or four-wheel drive, although not on all models. The Kuga was facelifted in late 2016 for the 2017MY with a wider, trapezoid grille and larger front light clusters, while trim lines originally ran Zetec and Titanium. The Kuga Mk2 was also one of the models that Ford said buyers usually specified in top-ranking Titanium guise, prompting the company to launch an even more upmarket, almost standalone model called the Kuga Vignale – this arrived with the facelift in 2016 and featured different exterior styling, plush interior fittings and a higher level of standard equipment than even the Titanium. Also introduced later in the Mk2 Kuga’s life was the sporty ST-Line spec, which brought in an external body kit and interior fittings designed to mimic the brand’s sportier ST and RS performance cars. It’s the most prevalent and one of the earlier models, so a 2.0 TDCi 140hp Kuga, in Titanium guise, would make a sensible purchase on the used market, offering a well-specified and mannered SUV for a very reasonable cost. While the Kuga feels a little outmoded in today’s marketplace, when it launched it was one of the best C-segment crossovers going and it still makes an attractive used proposition. It’s from a well-known and well-supported brand, it’s good to drive and it feels sufficiently solid and dependable to make it an excellent used choice for the family buyer.